When will be Little Miss Atlanta next episode air date? Is Little Miss Atlanta renewed or cancelled? Where to countdown Little Miss Atlanta air dates? Is Little Miss Atlanta worth watching? 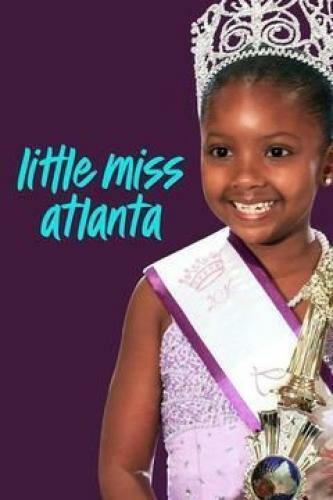 Welcome to Atlanta and The Little Miss Black US Pageant, where there's only one crown and everyone is going to do whatever it takes to win. Little Miss Atlanta centers around the fiercely competitive world of children's beauty pageants, where the kids are the stars, but the moms aren't going down without a fight...literally. The adorable contestants and their determined mothers take the pageant world by storm in the all-new, four-episode series premiering Wednesday, October 5, at 10/9c after TLC's popular Toddlers and Tiaras.Shot in Atlanta, each episode of Little Miss Atlanta follows three young African-American pageant contestants and their mothers as they prepare to compete in the intense world of pageantry. The girls, who range in age from three-years-old to 10-years-old, are always in it to win it, but their stage moms are the ones who eat, sleep and breathe pageants. Whether it's spending $15,000 on a single competition or leaving the pageant hall in a rage, these moms will stop at nothing to make sure their daughter leaves a winner. Little Miss Black US kicks off with two rivals going head-to-head, leading to a remarkable stage exit; contestants Kelsey, Ava and Sa'Nyia compete. Little Miss Atlanta next episode air date provides TVMaze for you. EpisoDate.com is your TV show guide to Countdown Little Miss Atlanta Episode Air Dates and to stay in touch with Little Miss Atlanta next episode Air Date and your others favorite TV Shows. Add the shows you like to a "Watchlist" and let the site take it from there.